"Your kid doesn't just want to take risks. She needs to take risks." 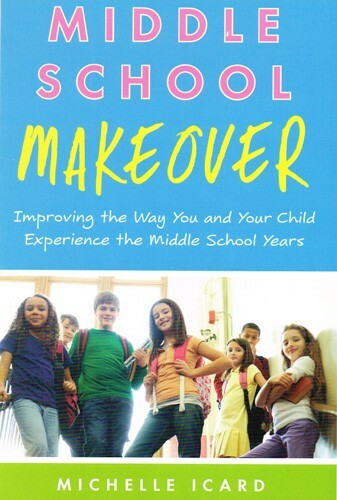 "Middle school gets a bad rap," says Michelle Icard, educator and author of Middle School Makeover: Improving the Way You and Your Child Experience the Middle School Years. "Middle school can be scary. But there is a lot to love about middle school, too. One of my favorites is that middle school can offer a buffet of new experiences." When kids start acting differently from the little kid you've known for so long however, whether it's wanting to dye their hair strange new colors, wearing only black, or hanging out with a new group of friends, many parents start to worry. Icard aims to set parents at ease, asserting that, while it may seem counterintuitive, one of the best way to keep your middle schooler out of trouble is to let them take risks — with a little guidance. “Who a child will become is not a foregone conclusion, and without trying a lot of new things, how can a young person truly know who she is?” Icard asks. "Becoming an independent adult, after all, requires a lot of bravery.... Your kid doesn’t just want to take risks. She needs to take risks." That said, parents still want to balance the need for their tweens and young teens to take on risk with keeping them safe. The trick, Icard says, is to offer them the chance to take acceptable risks. “While a middle-schooler’s brain can’t tell the difference between a good risk and a bad risk, the good news is that it’s equally satisfied by both. You’ve probably heard that kids who play sports are less likely to engage in negative risky behavior. That is not because they’re too busy to find time to misbehave... that’s because athletes are already taking risks on the field, so they’ve checked that box.” And risks don’t have to be physical: “Auditioning for a play, joining a new club, starting a baby-sitting business, or doing anything else that takes a kid out of his comfort zone will fulfill that risk-taking drive." It's important for parents to be ready to comfort their kids when things go awry — but that doesn't mean you should discourage them from the risks they want to try. Icard remembers an incident with her own daughter when she auditioned for a talent show in the fifth grade: "By fifth grade, she had hit her awkward phase pretty hard. Her singing voice, on which she prided herself for years, had changed from cute and clear to a strangled, nasally something. 'If she sings,' I thought, 'she will mortify herself and people will tease her relentlessly.'" But, she says, "I debated with myself for days over whether I should discourage her in order to protect her. And then it occurred to me, 'Either way, she’ll be hurt. Don’t let it be by me'.... I wanted to always be her champion." In the end, the performance was fine, and Icard knows she made the right call: "I am so glad I kept my mouth shut." "Often, parents think middle school is the time to clamp down and impose lots of limits, because they are fearful of their child making dangerous and impulsive decisions," Icard acknowledges. "Certainly, limits are appropriate, but they should be balanced with lots of encouragement to try new things. Yes, this will get messy. Switching friends, changing activities, dressing in all black, and hopping from obsession to obsession will make waves, leaving people, time and money in the wake. With any risk, good or bad, there are challenges. But consider the alternative." Without these risks, kids can't explore all their potential — and they may miss out on an activity or opportunity that they love. And when they know you support them in the risks they want to try, they'll feel confident enough to take them on: "They’re just trying to figure out who they are, and that’s hard work. They’ll be grateful you’re by their side when all that work is done." To read more, visit The Washington Post, and browse our resource recommendations below. Many girls are consumed by self-doubt on the inside, especially during the tween and teen years — but if they can crack the confidence code, they can learn how to set worries aside and focus their energy on what's really important: confidently pursuing their dreams and embracing their authentic selves! 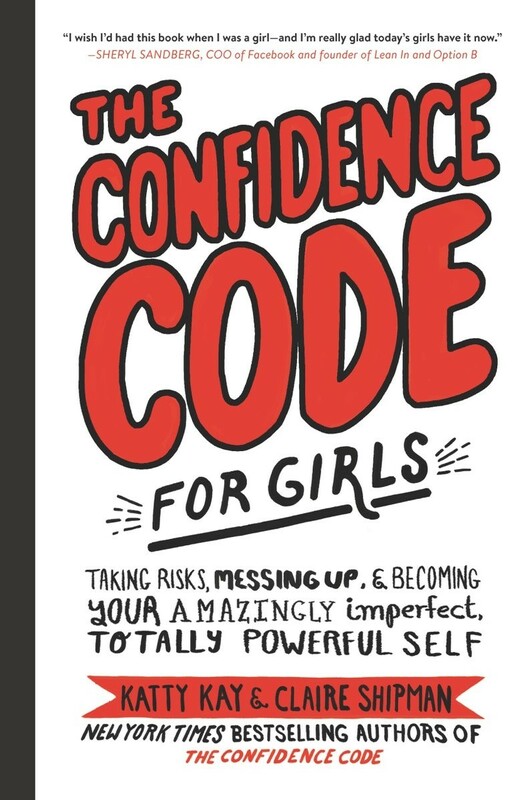 In this book, Katty Kay and Claire Shipman, the authors of the best-selling The Confidence Code for adult women, draw on the latest research to help tweens understand how to short-circuit the thoughts that drain your confidence and hold you back. Illustrations throughout help draw girls into the book, while lists, quizzes, and stories from real-life girls help readers understand how to embrace risk (and failure), overcome anxieties, and be happy in their own skins. Middle school means big changes: lockers, changing classes, and meeting a larger range of kids don’t seem like a big deal to an adult, but for your Mighty Girl, it’s a lot of change to handle all at once! 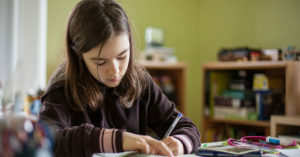 On top of that, expectations in both her classes and her other activities are increasing, leaving many girls feeling overwhelmed and unsure of how to handle the additional demands. By teaching her what to expect and giving her strategies to handle these new challenges, this book from the American Girl Library will help her feel prepared. It's the perfect start to your new middle-schooler's library. Imogene, AKA Impy, has grown up in the Renaissance Faire where her parents work. She wants to prove her bravery, so she chooses one of the most daunting quests she can imagine — she'll go to middle school after a life of being homeschooled! But it's hard to be a noble would-be knight when you're surrounded by a group of girls who seem nice (until they aren't), and when you're feeling newfound embarrassment about your family's "weird" life. 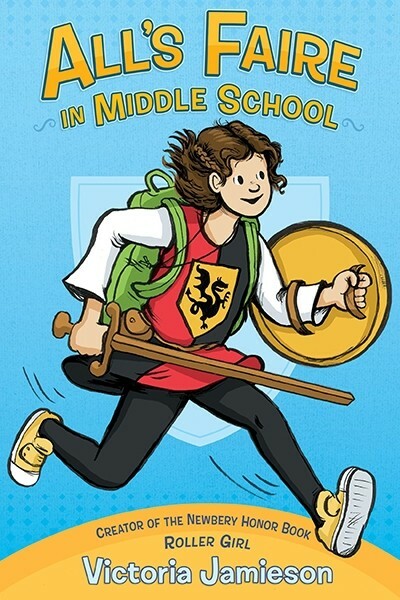 And when Impy does something mean in an effort to fit in, she begins to wonder if she's got what it takes to be a knight — and how she can turn herself around and make things right. This funny and heartfelt graphic novel celebrates what it truly means to be brave. Emmie is quiet, artistic, shy, and self-conscious — and feels practically invisible in the halls of her middle school. Katie, on the other hand, is outgoing, athletic, and confident. When the sappy love note Emmie wrote to a crush as a joke is made public by a bully, she's humiliated; but to Emmie's surprise, Katie comes to her defense. Soon Katie is urging Emmie to finally make her voice be heard — and a surprising twist reveals that the two girls have more in common than anyone imagined. This empowering graphic novel carries a powerful message about facing down embarrassment and standing up for yourself. 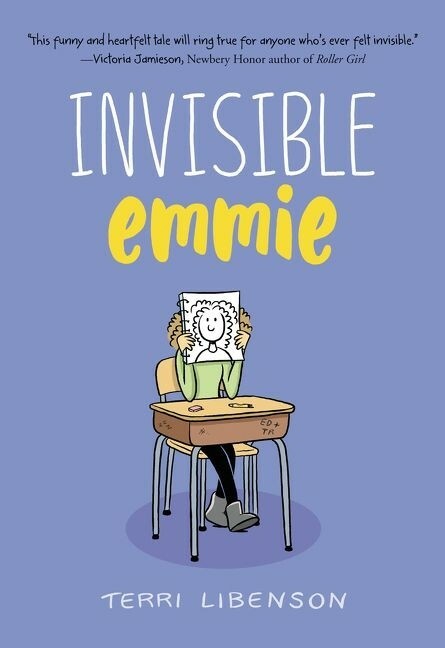 There is also a companion novel featuring Emmie's classmates, Positively Izzy. When 12-year-old Lucy Callahan was struck by lightning at age eight, she developed genius math skills and has been homeschooled ever since. Now she's ready to head off to college, but before she does, her grandma insists on a different sort of test: middle school. Her tasks: attend for 1 year, make 1 friend, join 1 activity, and read 1 book (not another math textbook!). 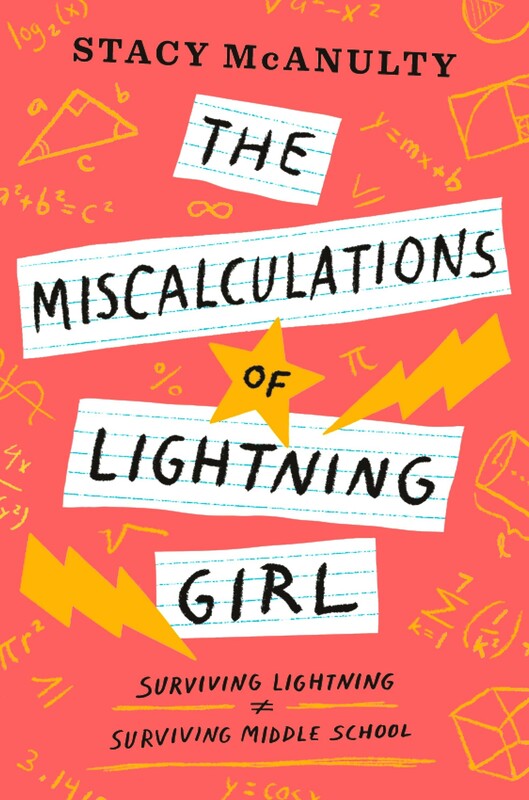 In this smart, funny, and heartfelt novel, author Stacy McAnulty cleverly helps readers see the world through Lucy's point of view – both her gift for numbers and her struggles with OCD, which can lead to spiraling digits of pi taking over her brain. This outstanding story is an uplifting celebration of friendship, self acceptance, and, of course, math! When Caroline Paul was a girl, she let fear hold her back from all sorts of adventures she wanted to try. As an adult, she has flown planes, rafted on white water, and become one of San Francisco's first female fire fighters. 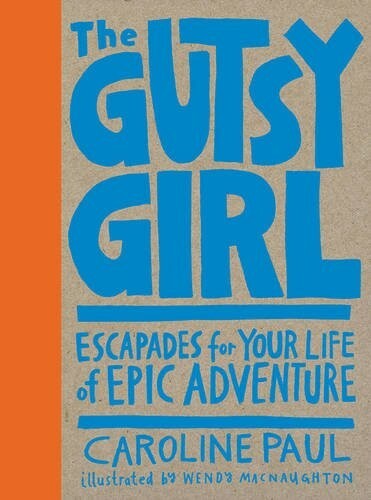 In her book, she shares stories of daring women from history and from her own journey — and encourages girls to set their own path to adventure. Each section includes a spot for girls to write about their own adventures, as well as confidence-building activities girls can try on their own. This book celebrates all the good things that can come when you assess the risks, take a deep breath, and take that first step. It's important to remember that parents and educators can do a lot to help their girls have a positive middle school experience. Michelle Icard lays out how tweens' developing brains affects their relationships, their understanding of their identity, and their decision-making. 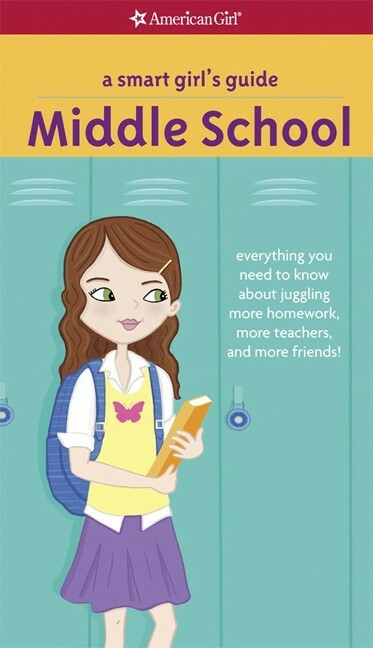 Then, she lays out practical and concrete ways that the adults in tweens' lives can give them the guidance they need to have a positive middle-school experience. With specific discussions about top issues like social media, social exclusion, and starting romantic relationships, this book is a must-have guide for anyone who works with middle schoolers. As a parent, it's easy to fall into the instinct to protect your child from hurt — even if that means the disappointment and frustration that comes from failing. But as teacher and writer Jessica Lahey explains, how to fail — and how to get up, dust yourself off, and try again — is a key skill that kids need to learn young, when the stakes are still low. 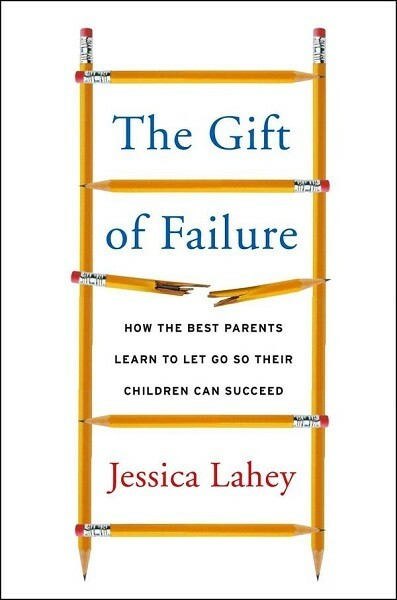 In her book, Lahey lays out the case for allowing kids to fail, and to feel the full emotional brunt of that failure, and shows parents how to model and teach resiliency and problem-solving. Individual chapters target particular challenges like homework, report cards, and sports. This celebration of the value of reaching high and missing the mark will make you think differently about how you respond to your child's mistakes and problems. Parents want to keep their kids safe, but you can't keep kids in a bubble — so how do you know what safety skills to teach at every age and stage? 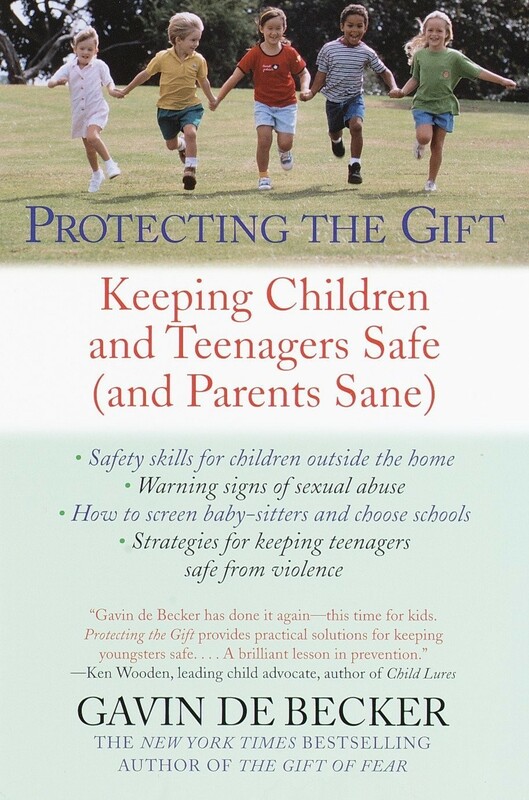 Gavin de Becker, author of the bestseller The Gift of Fear, provides practical guidance to ensuring kids are safe at every age, while still having an appropriate level of freedom... and without making them scared of the world beyond their doorsteps. From knowing what to ask child care professionals before you hire them, to teaching kids what to do if they get lost in a public place, to preparing your teen for increasing independence, the recommendations in this book will reassure parents and empower kids. If the job of an adolescent is to become an adult, how do you know when they're there? 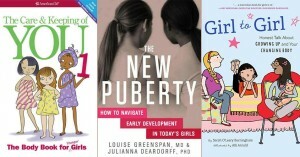 Lisa Damour, director of the Laurel School's Center for Research on Girls, draws on the latest research to reveal the seven key transitions — including Parting with Childhood, Contending with Adult Authority, Entering the Romantic World, and Caring for Herself — that an adolescent girl needs to make before she reaches adulthood. 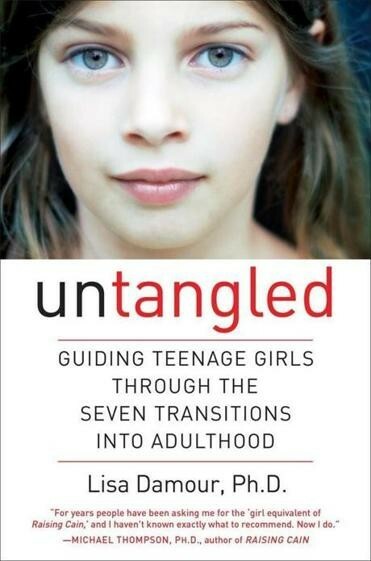 Equally importantly, she shows how uneven progress through these transitions explains the sometimes erratic behavior of teenage girls, and how parents' responses can help strengthen their relationship so she can complete her journey healthy and happy.